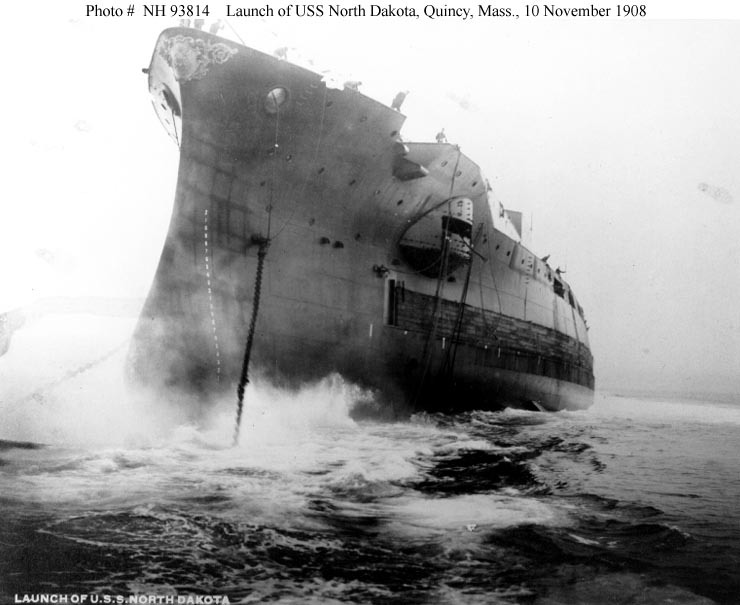 USS North Dakota, a 20,000-ton Delaware class battleship, was built at Quincy, Massachusetts. Commissioned in April 1910, she generally operated with the Atlantic Fleet along the U.S. east coast and in the Caribbean area for most of her career. 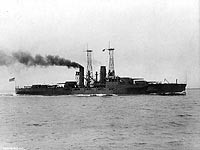 She participated in the Mexican intervention in April-October 1914, served as a gunnery and engineering training ship during the First World War, and took part in aerial bombing tests off the Virginia Capes in 1921. 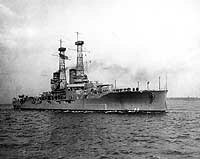 When the Navy formally adopted hull numbers in 1920, she was designated BB-29. North Dakota also made a number of more distant cruises. In November 1910, she steamed across the Atlantic to visit England and France. 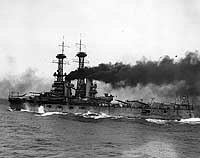 The battleship returned to European waters in late 1919, when she visited ports throughout the Mediterranean Sea while on a mission to bring home the remains of the U.S. Ambassador to Italy. During a Naval Academy Midshipmen's training cruise in 1923, she went to Scandinavia, Scotland and Spain. 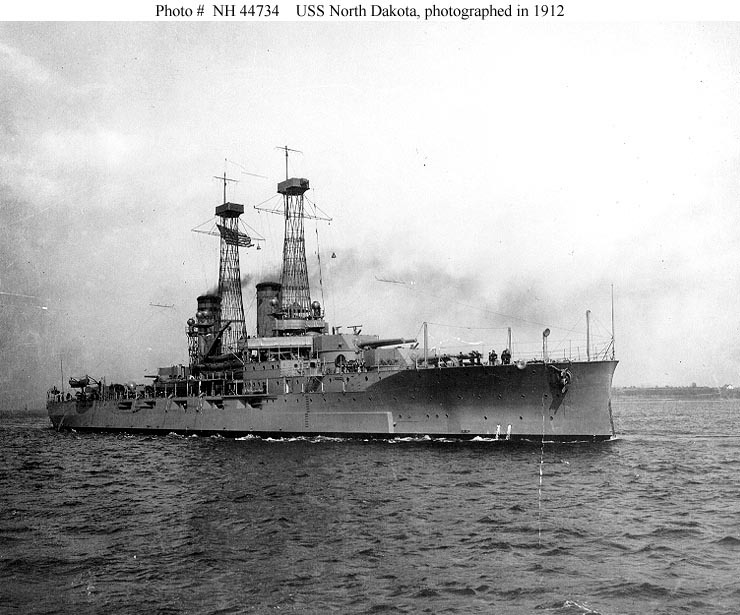 The Washington naval limitations treaty rendered North Dakota excess to the U.S. Navy's battleship allowance, and she was decommissioned in November 1923. 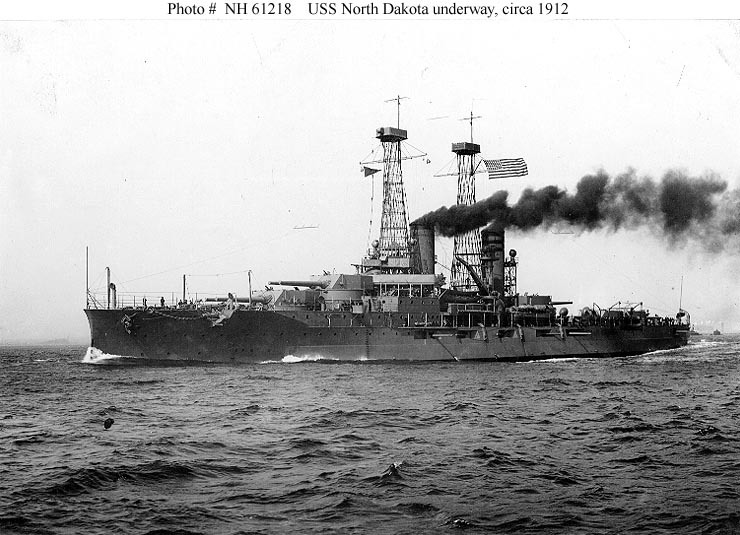 Demilitarized in 1924, she was to be converted to a mobile target and was redesignated "unclassified". 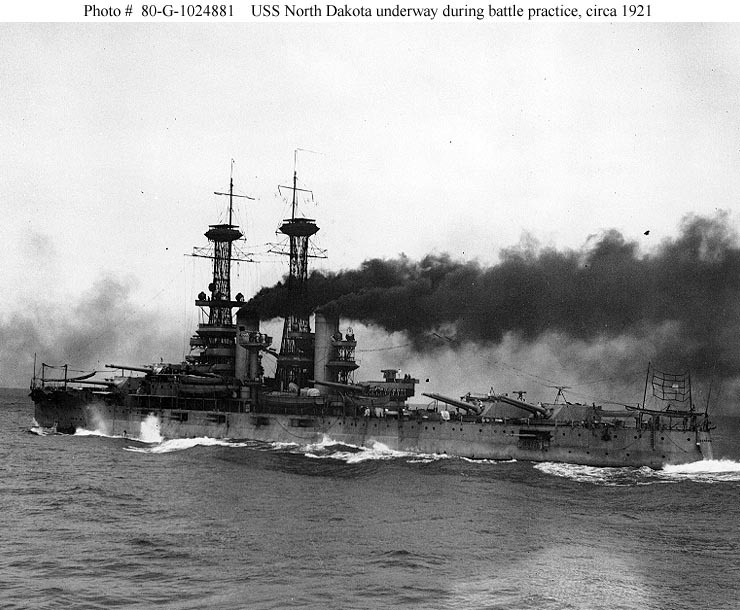 North Dakota was sold for scrapping in March 1931. 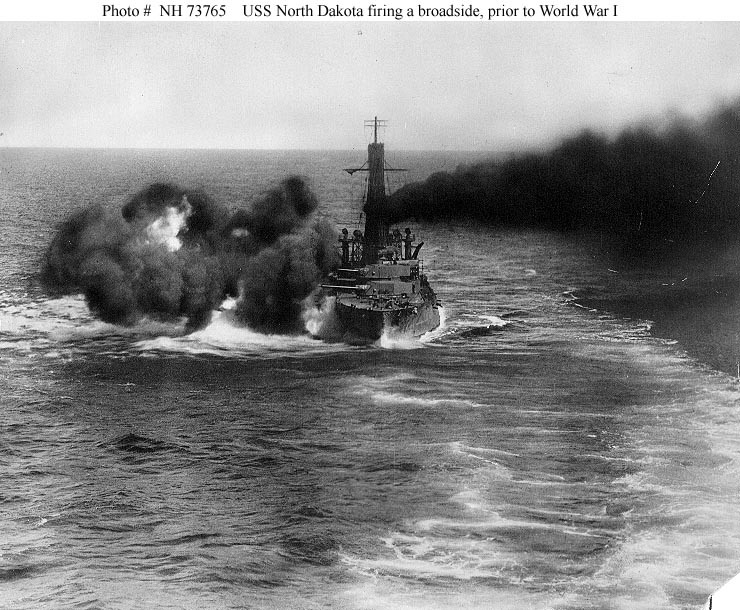 This page features selected views concerning USS North Dakota (BB-29). Photographed by N.L. Stebbins, Boston. 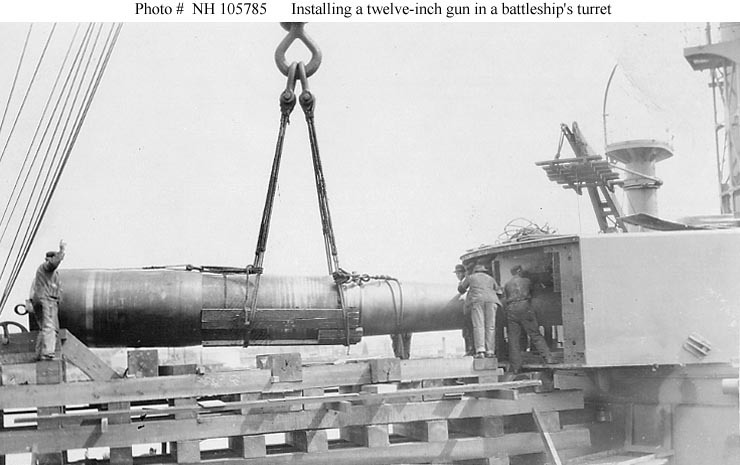 Note the five-inch gun mounted in a low sponson forward. This gun and sponson were soon removed. Collection of Rear Admiral Ammen C. Farenholt, USN(MC). 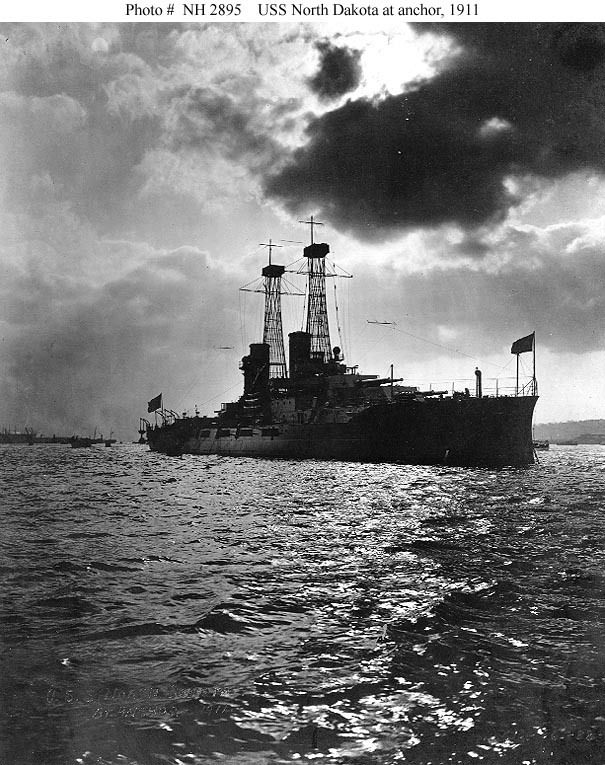 At anchor in harbor, 1911. Photographed by Enrique Muller, 1912. 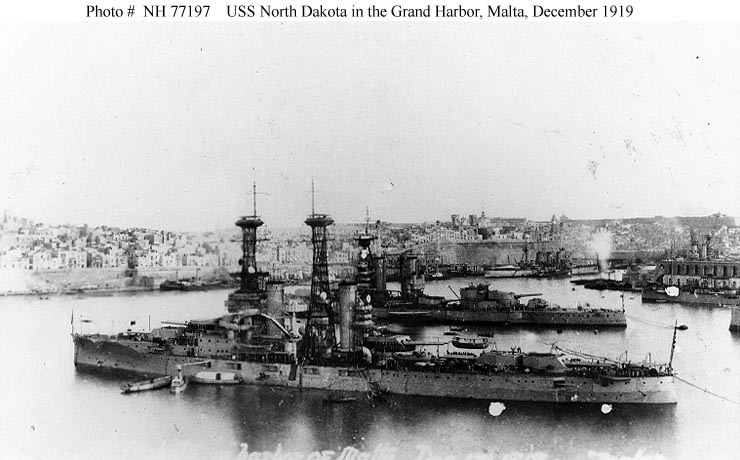 In the Grand Harbor, Valletta, Malta, 17 December 1919. 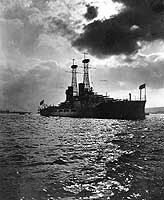 A British battleship is moored beyond her. 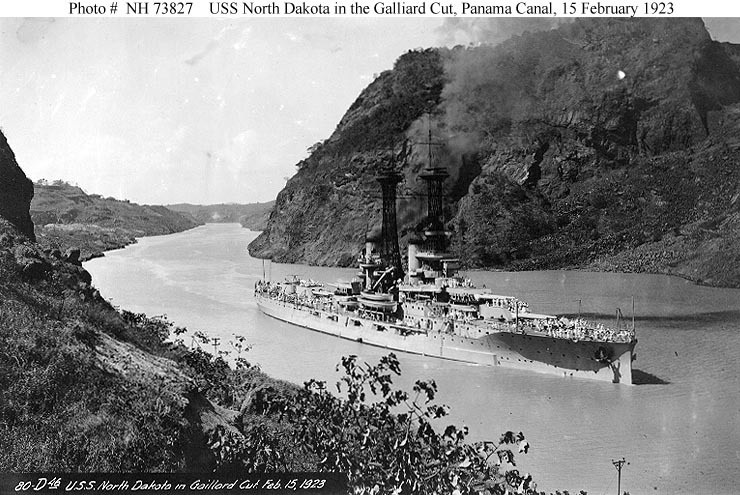 Passing through the Galliard Cut, Panama Canal, 15 February 1923. Courtesy of the Naval Historical Foundation, Washington, D.C. 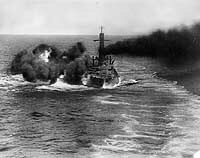 Firing a broadside with her twelve-inch guns, prior to World War I.
Mast details have been retouched in this photograph. 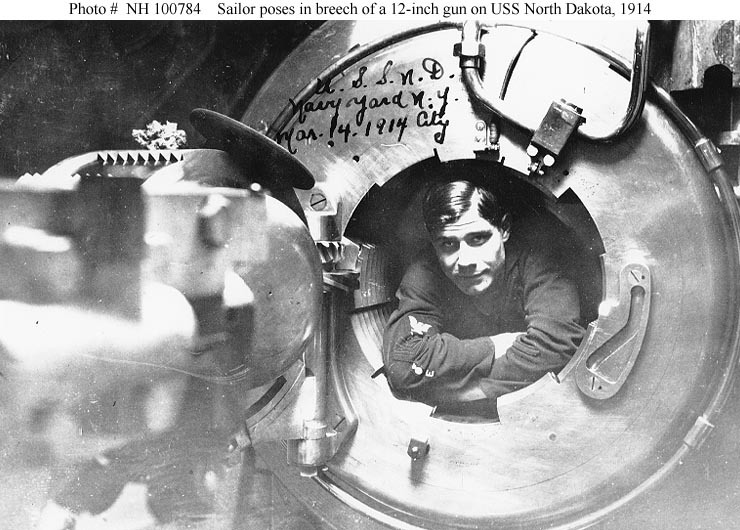 Sailor poses in the breech of the left 12"/45 gun of Turret # 5, at the New York Navy Yard, 14 March 1914. The original photo is printed on postcard stock, inscribed on the reverse: "To Luther, from Phil". Note that this man wears the Seaman Gunner Mark, with "E" below his chevrons. Courtesy of Carter Rila, 1986. 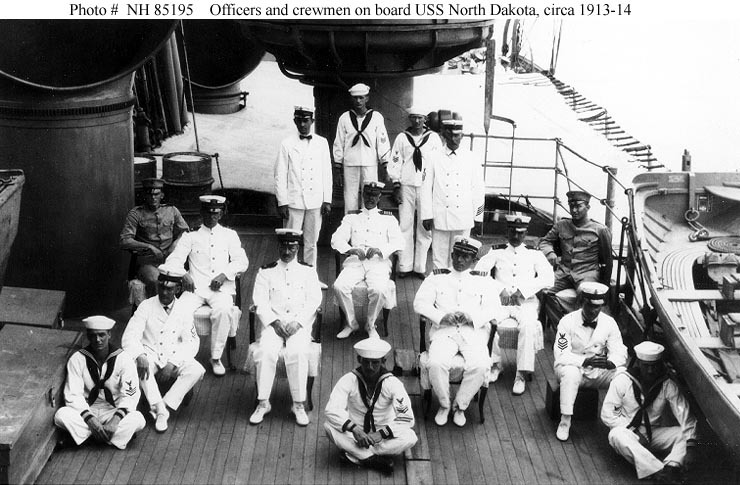 Among those present are: Captain Charles P. Plunkett, Commanding Officer (seated in center); Commander Orton P. Jackson; and Electrician's Mate 1st Class Mason Dunlap (seated at lower left). Courtesy of HT1c J.T. Thompson, Jr., USN, 1976. 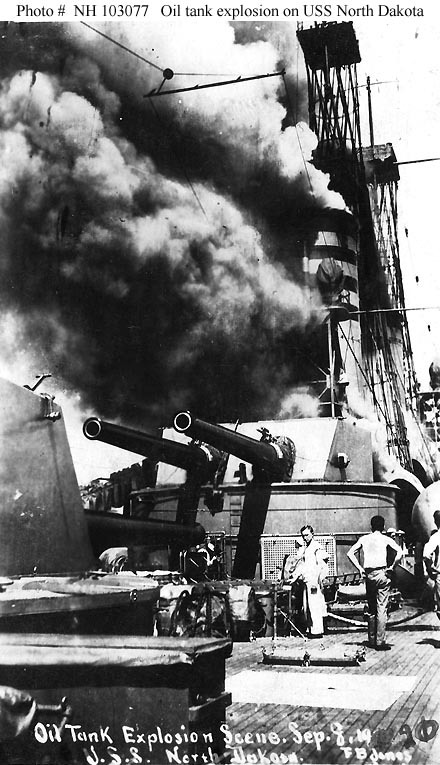 View on deck, looking forward from aft, showing smoke from an oil tank explosion. The image bears a date that appears to be 8 September 1910. The original image is printed on postal card ("AZO") stock. 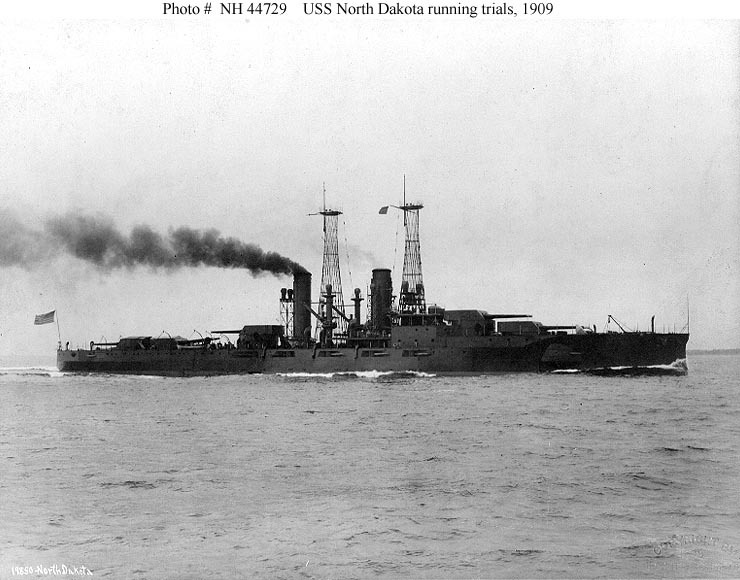 This is probably Turret # 3 of either Delaware (Battleship # 28) or North Dakota (Battleship # 29). The view may have been taken while the ship was under construction, circa 1909-1910. The original image is printed on post card ("AZO") stock. 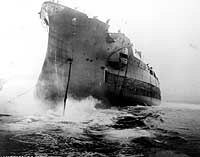 A handwritten inscription pencilled on its reverse ("USS Franklin") has no obvious bearing on the subject of the photo. Donation of Charles R. Haberlein Jr., 2008.